Hello! Today I would like to share some images of Nadin & Andreas's elegant Austrian wedding. 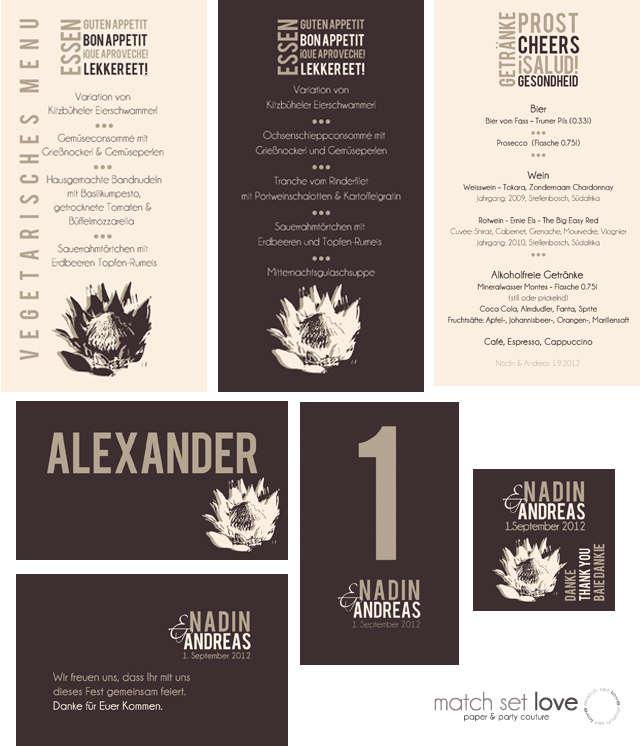 Because they are currently residing in South Africa and love our proteas, the 'protea' was a must and had to be incorporated into the design of their stationary and flowers. All the stationary was finished with a high gloss laminate and it looked all so stylish. 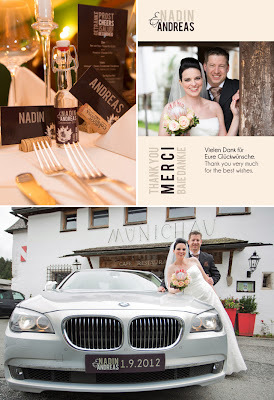 Check out their cute little 'schnapps' favours and the matching vinyl numbers plate for the wedding car! 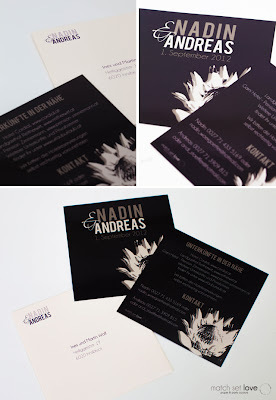 Dear Nadin & Andreas, I wish you much love and happiness on this journey together!